When I told people back home that I was moving to Korea, one of the questions that was asked the most was, “What are you going to eat? !” I really didn’t know, to be honest. I knew Busan was a coastal city so there would be lots of seafood so I was just hoping that there would be options for me since I am not a seafood lover. I do tend to take a lot of pictures of the food here because I know everyone back home is curious about what I’m eating. 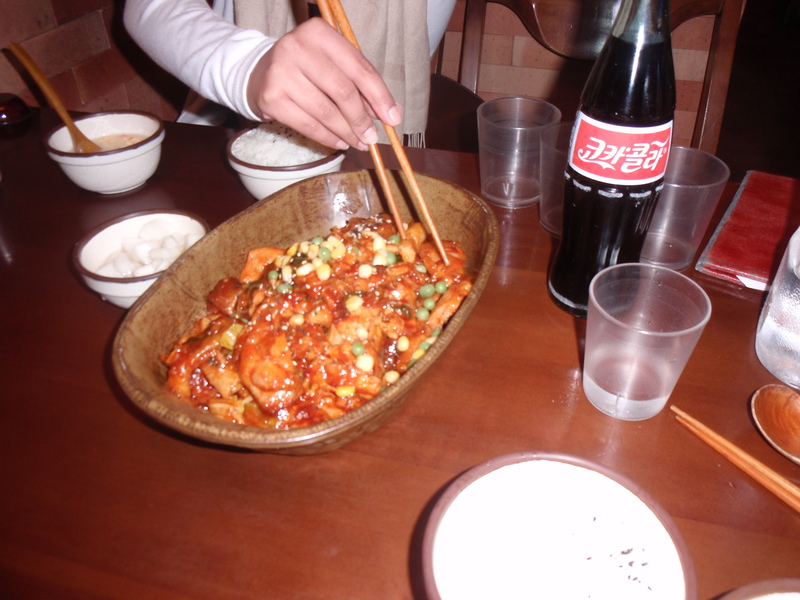 I’ll have to admit that when I first got to Korea I was worried that I was going to starve. I wasn’t impressed with the food at orientation and my neighborhood didn’t really seem to have a lot of options. 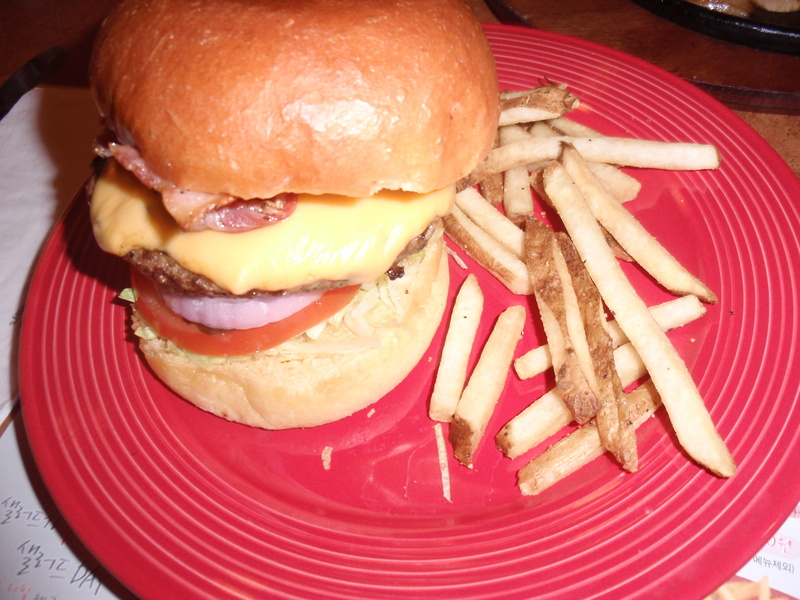 I definitely craved Western food. I do have a few options close to my house. 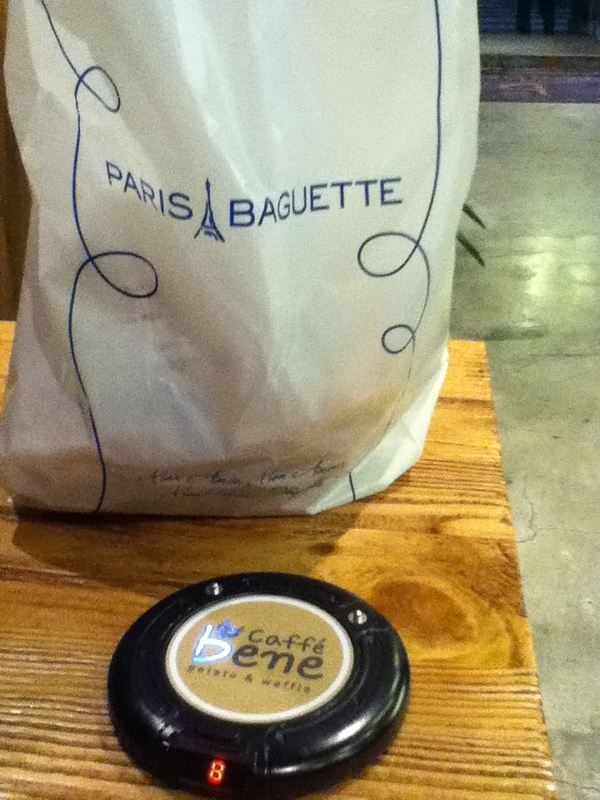 I have fallen in love with a bakery called Paris Baguette. The one by my house is quite small in comparison to other locations, but I have found some things there that I love. There is also a Caffe Bene close by. They have tiramissou! I have become great friends with one of the English teachers from my school. She took me to Home Plus to help me find some things I need for my apartment and treated me to dinner in the food court afterwards. It was different, but pretty good. We had some sort of fried pork. It was nice. The salad was good also. 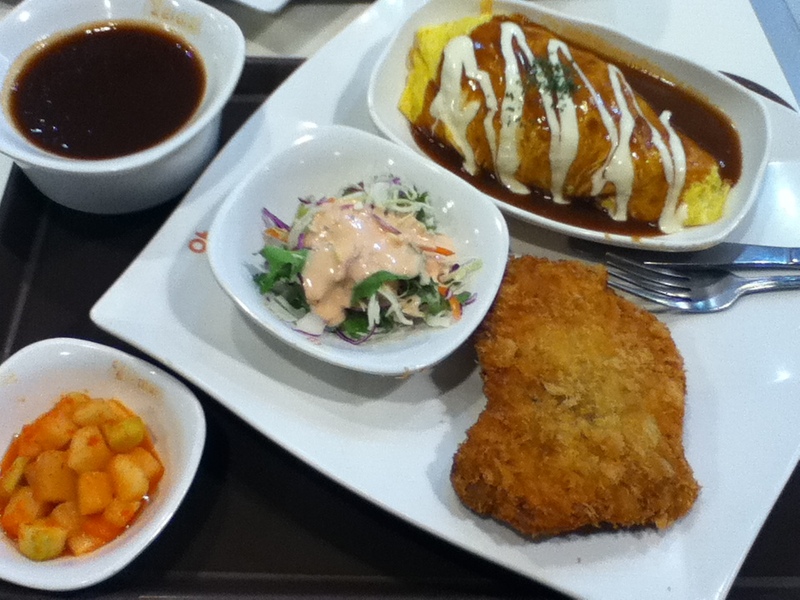 I still don’t know how I feel about the rice stuffed omelet thing, but it was a nice meal overall. The longer I’m here, the more the food grows on me. There are a lot of really great restaurants in Busan and it’s fun trying new things. 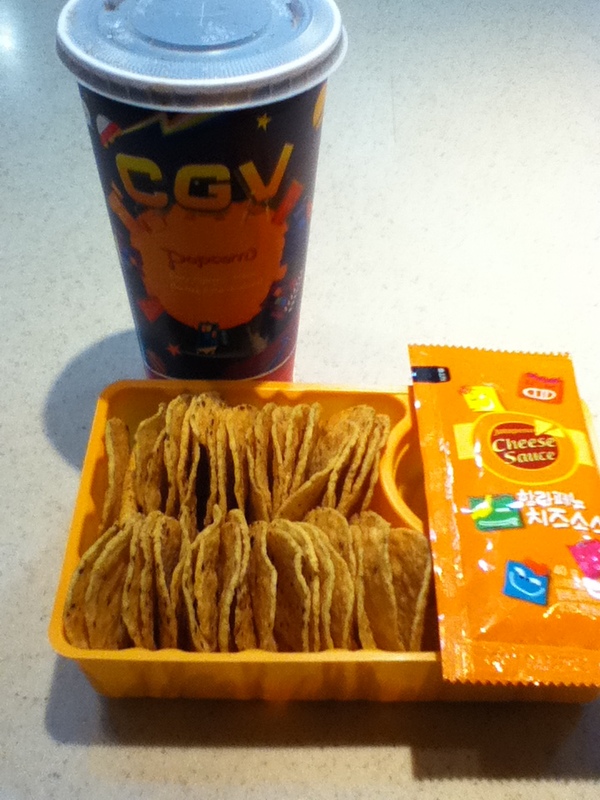 I was pretty pleased when I went to the movies in Korea for the first time. 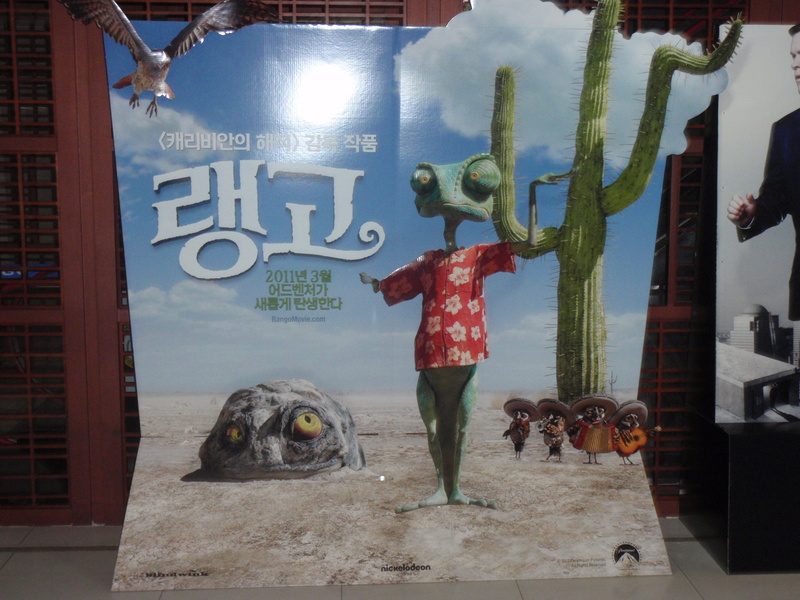 I saw Rango (in English with Korean subtitles) and enjoyed it quite a bit. It was also quite lovely because I got to eat nachos! My friend Faith and I went to Seomyeon one Friday night to meet up for dinner. Seomyeon is like the city center and has loads to see and do. 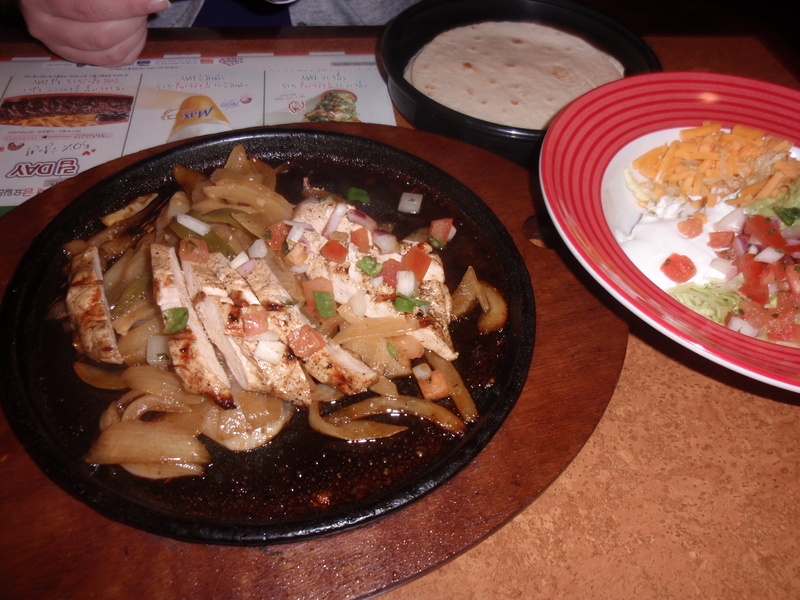 There are also many restaurants, including several Western options. We opted for TGIFridays. It was so yummy. I had a burger and Faith had fajitas. I don’t just eat Western food here. 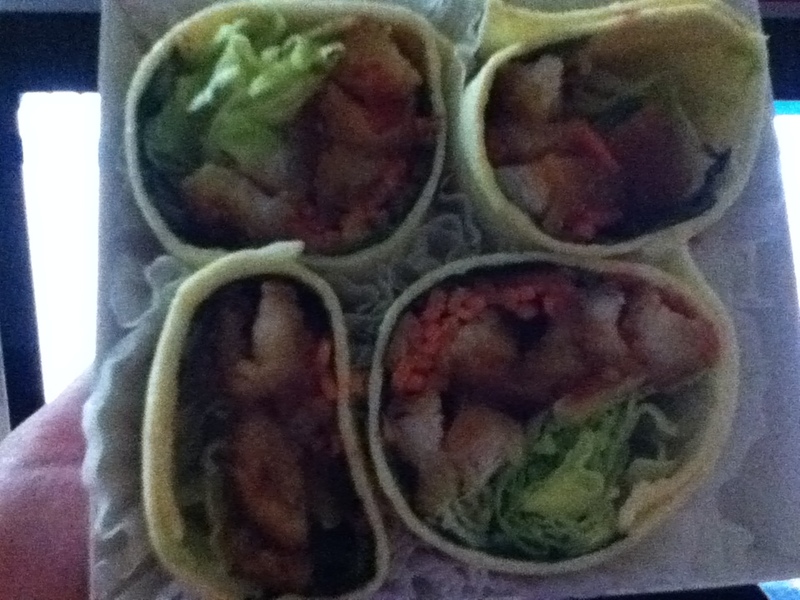 There’s a lot of really good Korean food, as well. One weekend I got together with my friends Cilla and Sonal and went for lunch. We ate at a really great chicken place. The chicken was lovely, but it was quite spicy. The waiter scared us a bit because when we ordered this dish, he did his best to warn us that it was spicy and even pointed and something different on the menu. I really enjoy the spiciness here. We all shared the spicy chicken and then did some walking around before we dropped by Angels in Us Coffee for some dessert… hot chocolate, cheesecake and a blueberry waffle. This entry was posted in Korean Food and tagged 2011, Busan, EPIK, ESL, food, GET, guest English teacher, Korea, Korvia, teacher, TEFL by Meagan & Dave | HappilyEverExpat.com. Bookmark the permalink. I love the Japanese version of that. It’s so good.